Order photo books online, anytime from your computer, tablet or mobile. From the printing to the paper quality, our books bring out the best in your moments. 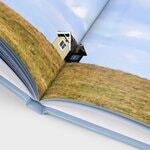 We deliver your photo books within 6-8 working days, with top quality customer support. We have you covered. Available in landscape, square and portrait photo books, in four different sizes. Make your photo book even more special. Choose from high quality linen, luxurious leather, a soft photo cover, or our unique and bestselling hard photo cover. Dress your photo book in a luxurious faux leather cover. Make your photo book extra personal and unique by placing a meaningful photo on the front and rear cover. Flexible and affordable. The soft photo cover is perfect for a photo book in a magazine style. Linen cover is standard. If you don't opt for anything else, your book cover will be made of high-quality linen. You can also choose a ring wire book with transparent cover. Give your photo book some finishing touches. Make it even better. Give your photos greater contrast and depth of colour. Luxurious, smooth and shiny, glossy pages give images high colour density, optimal colour graduation and perfect image sharpness. Layflat premium photo books are printed so the left and right hand pages flow seamlessly together. Using special paper, which is thicker than a standard photo book, layflat is perfect for features images that need the space of two pages. Order now and you’ll have your photo book within 6-8 working days. Shipping costs start at £ 2.99 and increase with the size of your book. Use our free tools to create your photo book online or offline. In just 3 steps you can save your digital photos and tell your stories in a photo book! Choose your photo book size and style. Create your photo book by adding your digital photos. Order and receive it within 7 working days. Nowadays we've got so many photos sitting on our computers, laptops and smartphones. We might go through them sometimes - just to show a particular photo - but we rarely reflect on the special moments, and we certainly don't have them in one place. Creating a photo book is more than just collecting photos and putting them in a photo book: it gathers your moments in a unique and special way. Turn your favourite family snaps into a professional quality photo book (or two) with bonusprint's help. It's easy to make photo books online. Just select the type of online photo book you'd like from a range of sizes and covers and use our online creator tools to add images in seconds. Share a digital photo album with friends or order physical books that will bring your finest moments back to life. There's no better way to share and store life's special moments. It's easy to make photo books with bonusprint, and they can be assembled in no time at all thanks to our quick photo album software. Choose soft or hard covers and sizes ranging from 10 x 10 cm to huge 39 x 29 cm coffee table albums. Then, using our creator tools, upload your photos from your laptop or smartphone and choose the right delivery option. Whether you've had an unforgettable holiday or you're heading off to university, create an easy photo book today. What could be more personal than a custom photo album crammed with images of your life? 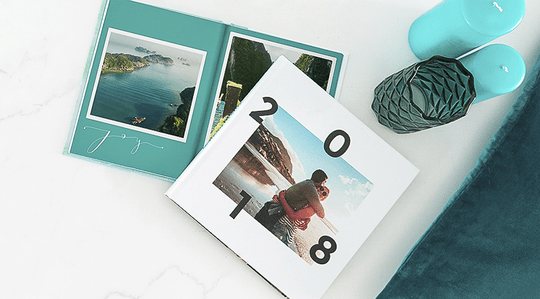 Instead of storing pictures digitally, create a personalised photo book with bonusprint that captures the story of your holiday or gets to the heart of your friendship. There's no shortage of ways to make a photo book personalised. Get creative with frames and backgrounds, use lay flat spreads for your customised photo book, or pick glossy paper to achieve a magazine look. Create a totally personalised photo book that tells your story in a way only you can. Nothing captures your beloved moments better than a personal photo memory book. Don't let life's special moments drift away. Instead, keep them fresh in your mind with a personalised memory book that brings laughter, fun and friendship back to life. Whether you are creating a photo memory book for your family or a record of your time at school, personalised memory books let you return to special moments and people whenever you feel the need. Create a memory book full of photos today to ensure that precious moments don't fade away. You don't have to be a professional printer to create premium photo books. Well, not any more, anyhow. bonusprint offers a simple, quick and effective set of tools to create photo books online. You can make a photo book in minutes with our photo book creator and picture book maker - adding decorations and text to tell your personal story in style. When you make your own photo album with us, you can transfer any images seamlessly, and even edit them to ensure that they fit neatly into your design. So there's no need to pay specialist printers to create timeless photo books any more - just create photo books online with bonusprint instead. First, of course, you have to find the photos you want to print. Luckily, you'll get to relive all those special moments as you do! Don't worry about having too many photos: our easy to use editor provides you with an auto-fill option to help you make a selection of your photos for your photo book. After selecting the photos you want to print in your photo book, you can think about how you want to style these photos in your book. While doing this you will go over each photo and relive those moments once again. When you have finished your photo book, the best moment of it all is when you receive it. Your photos are not only digital anymore, you can really touch them and show them to friends and family, or even order one extra for them. 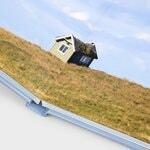 ✅ Photo cover: Your own photo on the cover! ✅ Leather cover: Dress your photo book in a luxurious leather cover. Available in brown or black. ✅ Linen cover: This cover is standard. If you don’t opt for anything else, your book cover will be made of high-quality linen and you’ll have different attractive colours to choose from. If you want the best photo albums, bonusprint has everything covered. Our services are focused on allowing you to create photo books that wouldn't look out of place in a gallery gift shop. When you buy photo books with us, you can add luxury features like leather or linen covers or lay flat photos. We also only use 200gsm FSC certified paper - which is both long-lasting and sustainable. And, if there's a quality issue when you order a photo book online, that's no problem just contact our customer care staff and they will try to resolve it as quickly as possible. That's how we ensure that bonusprint products are the best photo books around. At bonusprint, we know the value of personal moments. Special moments need special settings, which is why we offer a range of ways to create luxury photo albums. You can include a laser-printed title or go for glossy pages to make a pretty photo album even more attractive. In fact, with our blend of layout tools for your book's pages and premium options for the cover and binding, making a beautiful photo album has never been easier. Act now to store images of your family and friends the way they should be stored. It's easy to make a photo album - just open our tools, pick your images and let your creativity express itself. You'll be amazed by how easy photo book creation is with bonusprint. We allow anyone to print glossy, high-quality photo books in whatever size, style and layout suits their tastes and needs. When you need to print a photo album, simply download the smartphone app for iOS or Android devices, or use our online tool to arrange your photos, and add descriptions, frames or colour schemes. With personalised options for holidays, weddings, communion, birthdays and anniversaries, every occasion offers a chance to print your own photo book, so check out what bonusprint can offer and start creating your masterpiece. When it's time to buy a photo book, we make everything simple. When you order a photo book online, basic prices can be found on the landing page. Then there are small charges for additional pages and add-ons like glossy pages, while all of our shipping costs are clearly displayed as well. When you buy a photo album with us, our team ensures that every photo book delivery is as quick as possible. If you're worried about where your item has got to, tracking is available when you order photo books online as well. Excellent quality. Came exactly as I expected. Really beautiful. Smaller than expected but that was my thought for not measuring properly. A lovely gift and great quality. Would definately use bonus print in the future. Easy to use software and great quality of product. Good value for money (especially with a coupon). Delivery was quicker than expected.